Not sick, sick, but runny nose, heavy head sick. Hopefully it’s a quick one! I start with Diana on Wednesday, so I don’t have time for this! I didn’t do any exercise yesterday. I thought I was going to, but I was starting not to feel good and I didn’t want to run myself down anymore! So that’s what I did most of yesterday and what I will be doing for most of today as well! I’m not posting progress pictures today because I don’t feel good! Taking the above pictures is about all the energy I feel like expending today! Back to bed I go! 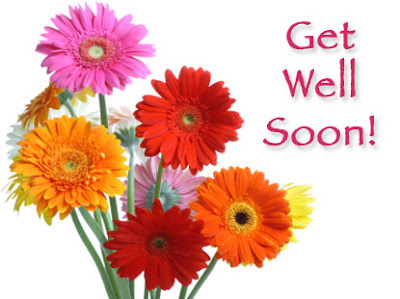 get well! the chili with brown rice looks AWESOME. AND i love them new ear warmers!!! love the glittery KU colors! Oh get to feeling better lady, sending healthy vibes your way! Love, love, love the set- it's perfect! Now decisions, decisions on the hats- they are both adorable, I will have to think on this one! How much are ear warmers? Thanks, Vann and Christy! I am selling the ear warmers for $10. They are knitted so they almost take longer than making an entire hat! Also, I start back at Hitch Fit this Wednesday at 10am. I will be there every Wednesday and Friday at 10am . Are you able to meet at that time? If not, I can meet you some where else. Just let me know, what works best for you! Will try to make it down this week if I can!